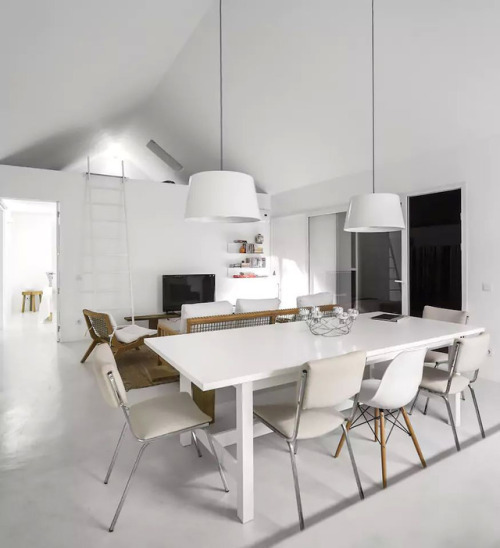 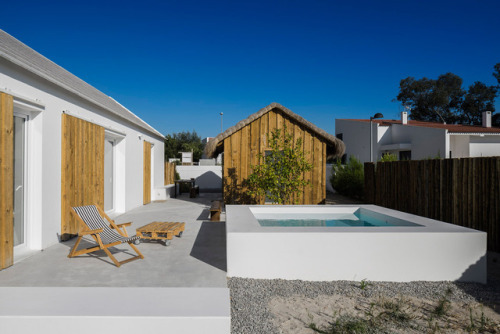 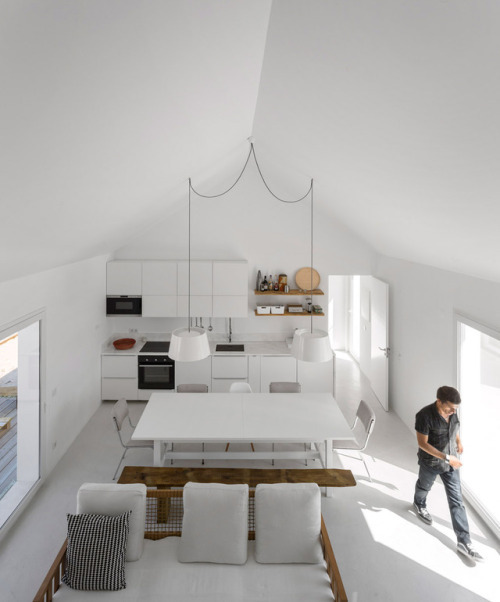 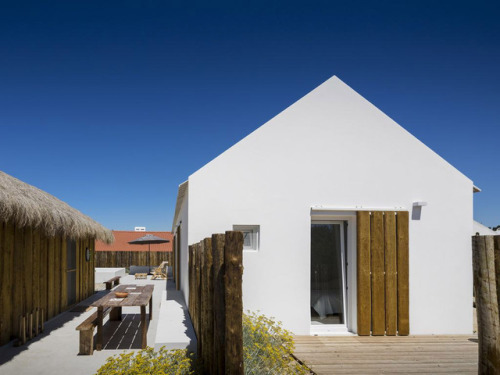 Tucked away in the chic coastal village of Comporta, on Portugal’s Troia peninsula, this dazzlingly white vacation home is the kind of place dreams are made of: comfortably rustic and discreetly on-trend. 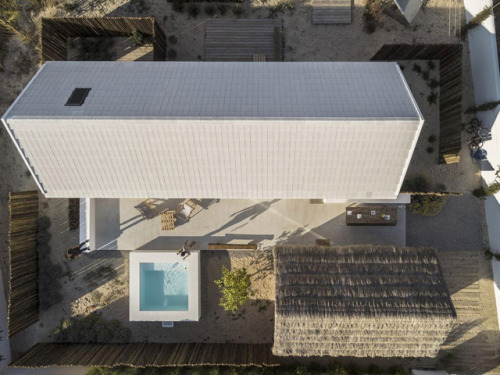 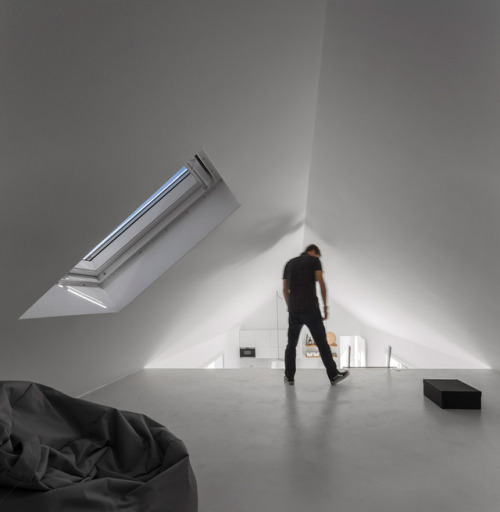 Designed by Lisbon-based studio Pereira Miguel Arquitectos, the tranquil country retreat is in perfect harmony with the environment, blending traditional architectural elements with simple contemporary aesthetics. 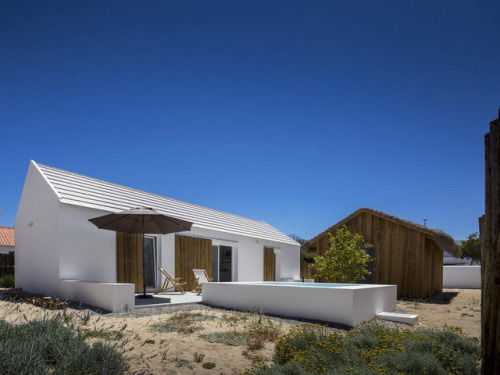 Complementing the main cement house is a detached wooden cabin, plus a small pool and a handful of welcoming alfresco areas. 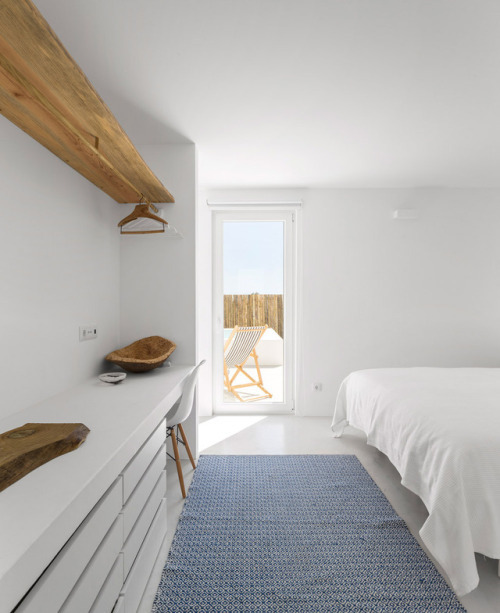 Inside, light pours in through floor-to-ceiling windows, whereas walls and furnishings melt in an endless sea of white, with the occasional rustic carpet and natural wood accent.